Read 2 times. Last read January 15, 2018 to January 22, 2018. This book was recommended to me by a fellow local military historian, an ex Colonel in the Royal Artillery who served in Korea. It had been sitting on the shelf, but on hearing the sad news that Rick Jolly had passed away on 6 January, I took it down to read. A wonderful insight into battlefield medical experience in the Falklands War by a naval reserve surgeon. An admirable man. I am a great fan of the fictional naval surgeon Stephen Maturin, but felt humbled to read of the work of a real-life doctor who worked so hard to save lives, along with his team. 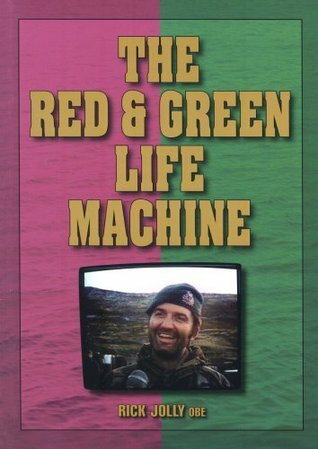 Sign into Goodreads to see if any of your friends have read The Red And Green Life Machine.